1. I read faster now that I have reading glasses! 5. I was walking and reading once and almost stepped into a puddle! Be sure to leave a link so I can follow you back! I would also like to announce that April is National Poetry Month (For the U.S. at least but it might be in other places too). 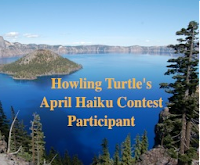 I have gotten quite a few new followers since my last announcement, but in honor of National Poetry Month I am hosting a haiku contest on this blog. The guidelines for which are here! p.s. I know most of you guys know this already, but I want to remind you that you can't post a comment on the guideline page itself you can only post under posts, like this one! I am super excited, today I found out that my poem A Day at the Beach won second place in a poetry contest! (This is kinda funny because I have won two other big-ish poetry/writing contests in my life and have always gotten second, so it is a lucky place for me). It's strange how my creative process works with poetry- or with anything really. Sometimes I have a prompt that I use, sometimes I resolve to write something and stare into space for an hour before any sort of inspiration comes. I don't always remember how I had the inspiration to write something, but I do with this one. I found this beautiful piece of music called 'Promise' and I just put it on repeat while I wrote, the poem just sort of morphed from that. What do you guys do for inspiration for your writing??? Question: What are five silly book related facts about you? 1. When I was four I told my mom I was going to be a book-worm, even though I didn't know how to read yet. 3. I can spend hours in bookstores just staring at the books. 4. My friend recommended that I read 'The Mortal Instruments' even though I didn't like the cover very much, I thought because of Jace's bare chest that it was a romance novel and I have never liked those. It is now one of my favorites. 5. I have an absurd passion for fantasy. Please be sure to leave a link so that I can follow you back! When Darri rides into Ghostland, a country where the living walk with the dead, she has only one goal: to rescue her younger sister Callie, who was sent to Ghostland as a hostage four years ago. But Callie has changed in those four years, and now has secrets of her own. 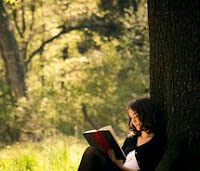 This time I am featuring a blog called The Girl With a Book. I try hard to find blogs with not many followers to feature, and the reason I chose to feature this one is, partly because she only has 6 followers, also partly because she is going to give book giveaways as she gains more followers! It is a really cool blog, and if you want to be part of the giveaway ;-) you should definitely hop on by and give her your follow. This has been a rather James-Pattersony month for me since I have reviewed two of his books this month. 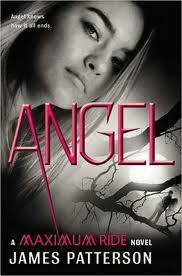 As a personal preference, I liked ‘Angel’ better that I did ‘The Gift’. It had the same could-not-put-it-down suspense, but at the same time the characters were more in depth. Like I said with ‘The Gift’, ‘Angel’ is not the first book in the series, in fact, it is the second-to-last, so you should read the previous ones before this one. I like the way that Max’s story and Fang’s story were written and then interwoven as the characters came together. Maximum’s witty narrative of the novel made it an extremely entertaining read. 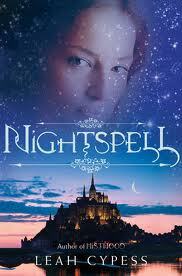 This book had me hooked from the beginning until the cliffhanger ending! This isn’t necessarily a book reviewing blog, but I am happy to do one or two a month. If you see that I am reading a book that you would like a review on let me know and I’d love to write one up! Hi, this is my first follow me Friday, so I am just figuring this all out. If you follow me, please leave your URL so I can follow you back ;-) Happy Saint Patty's Day from the Howling Turtle! Q: how did you name your blog? A: when I was little, I used to make this face where I tilted my face back and puckered my top lip out. My family and i called it the 'howlilng turtle' look. I Couldn't do it as well when my teeth grew in properly, but when I was starting this blog, i wanted an original name, and this is what I came up with. Plus i think the image of a howling turtle is kinda cool, even without the little back-story. As is typical of all James Patterson novels, I could not put 'The Gift' down! It is the sequel to 'Witch and Wizard', so if you just pick up 'The Gift' without having read the first one first, you may be slightly confused. 'The Gift' is the absolute perfect book for reading on a long airplane/ car/ bus/ train ride. (I would know, I read it on Amtrak). I would not, however, recommend it if you are looking for something with a deep hidden meaning or worthy of a Pulitzer prize in writing. Yes, I was hooked from beginning to end, but the characters at some times seemed superficial, and the plot kept jumping around so much it was a little confusing to follow. Having said that, it was sure a very entertaining read, and I would still recommend you reading it at some point, especially if you liked 'Maximum Ride' or have read 'Witch and Wizard'. My advice though is maybe to wait until it comes into paperback, or if you cannot wait to find out what happens (and I understand that) get it on ebooks where the price is reduced or go to the library to check it out. But don't spend twenty dollars on something you are probably only going to read once. I would like to let y'all know that my haiku contest is now officially up and running! As it says on the page, you will be able to submit until the end of the second week of April- but why wait! If you want to enter, you can visit the page or click here. Hey everybody! I am planning to host a Haiku Contest in honor of National Poetry Month (April). As you can see, I've added a page and am writing the guidelines now. I should have the page up and running later today if everything goes as planned. I will have a button up that you can grab for your blog to say you participated in this contest. (The buttons are my way of publicizing). The picture above is not the button, but it is what it will look like (I still have to put together the code). I hope you guys are enjoying the approaching Spring! 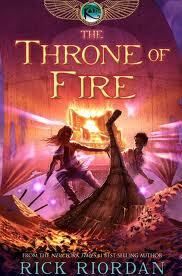 You gotta love anything with the name 'Rick Riordan' on the cover! Wow, thanks so much to Book Addict for giving me this wonderful award!!! Make sure you take a look at her blog if you haven't already. 3. 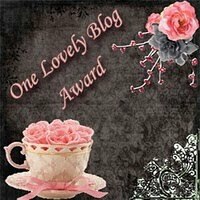 Pass this award onto 15 other lovely bloggers. 4. I was first in line for a book signing with Suzanne Collins, and I got to the store even before it opened! 6. The slow loris gets my vote for cutest non-baby animal.